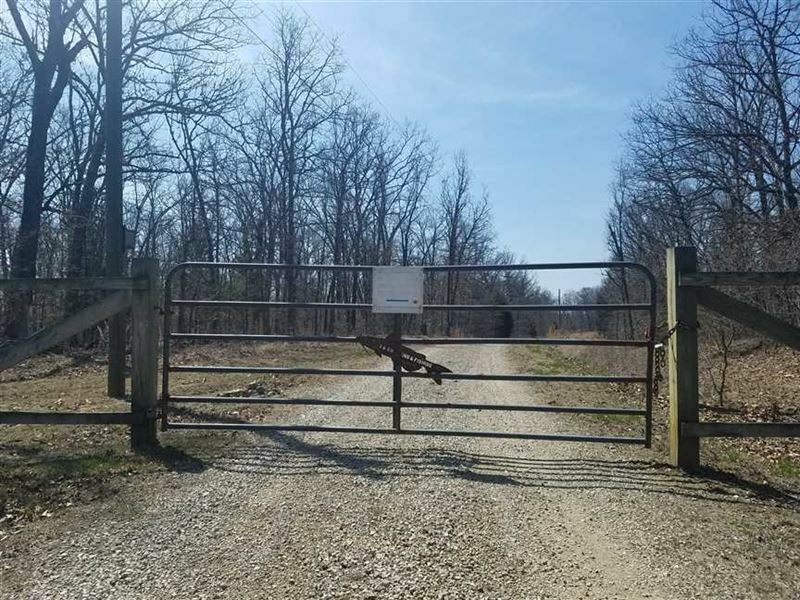 90+/- Acres, Amazing recreational property located in Benton County Missouri, Very secluded location that has a private drive leading too it. Creek runs through the west side of the property. Hunting paradise with lots of deer and turkey. Would be a great place to get away and have trail rides and camp fires with the family. Access to 8-10 acre spring fed lake next door. Small custom made log cabin located off of the road. Electric is located very close to the cabin. Property is all timber and has partially mature timber in spots. Timber consists of red oak, white oak, and hickory. If you would like to set up a showing please contact with Mossy Oak Properties in Cole Camp Missouri at 660 or 660.